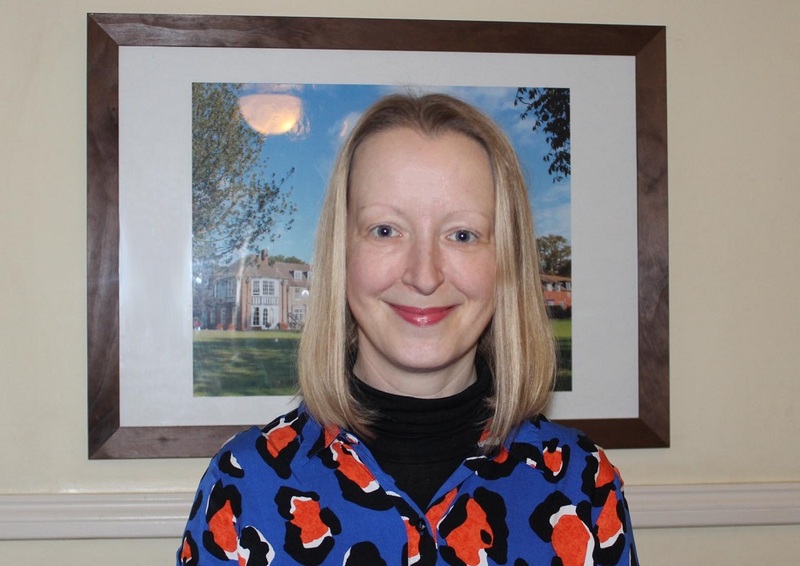 Roman and Iceni Workshop | Hethersett Old Hall School (HOHS) blog - an independent day and boarding school near Norwich, Norfolk. On Tuesday Years 3 and 4 enjoyed a fantastic trip to Norwich Castle, where they travelled back in time to the Roman period. The pupils met a Roman soldier, complete with armour and weapons, and even had a go at performing in a Roman battle. They met an Iceni tribe member and understood how and why the Iceni’s way of life was different to that of the Romans. The pupils handled some real Roman objects and were able to categorise them and see how they compared with present-day objects. The Roman toilet paper was a real source of amusement! The children had great fun making an Iceni torc (necklace) and looked at some real ones in the castle’s display cabinets. The day really enhanced the pupil’s understanding of our current Romans history topic and all the boys and girls enjoyed the day immensely. See the complete gallery of pictures from the day here. Look out for a photo of the children’s fabulous holiday homework on Romans on the blog on Sunday. 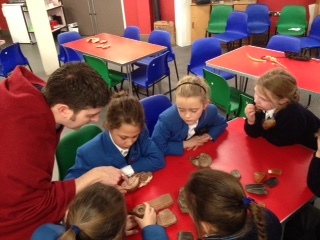 Year 4 recently visited Norwich Castle for a Roman and Iceni Workshop. We were able to look at Roman clothing and coins; we even met some ‘Real Romans’ – a soldier and a tax collector! We handled ancients object from Roman times and had to work out what they were used for.There were also characters dressed up as Iceni villagers. We acted out the different jobs the Iceni would have had to do. 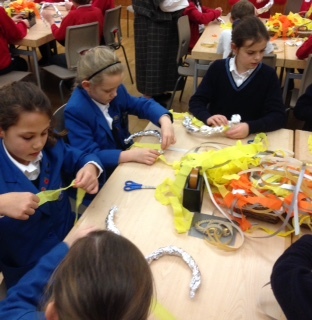 The Iceni taught us what torcs were and we made our own in a craft activity. The Roman Soldier taught us about life in the Roman Army – he had real weapons, they were very heavy and he was rather scary! ‘My favourite part was meeting all the charcters’ Skyla-Grace Manning.